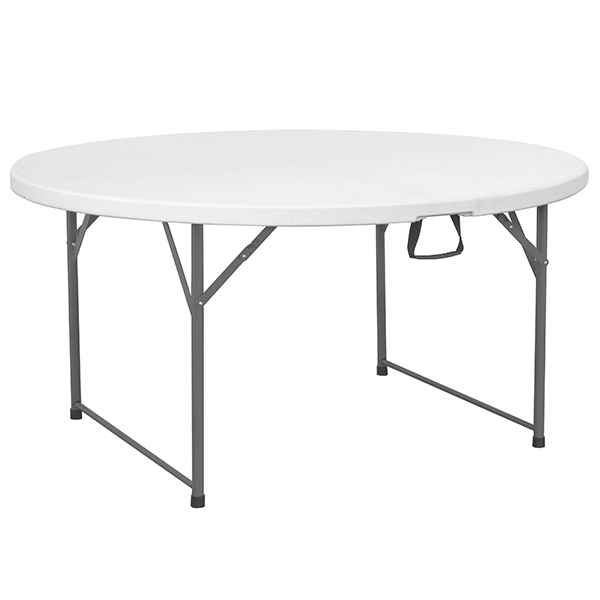 Offering the perfect solution to creating additional or temporary dining space, the Centre Folding Round Table offers a durable and functional professional quality design. 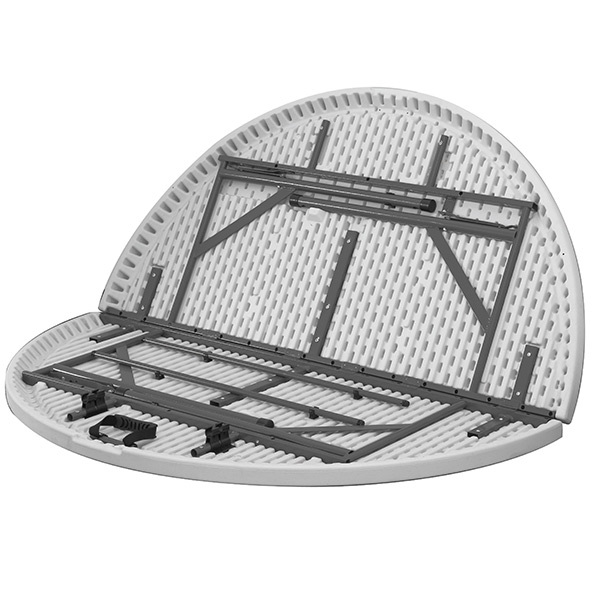 The high density polyethylene plastic top folds in half, while the steel frame and legs tuck in for ease of storage and transportation. 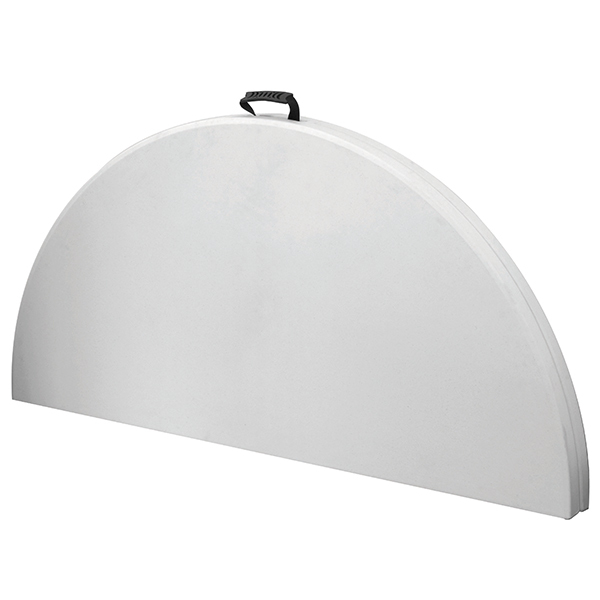 This circular table makes an ideal choice for wedding or banquet dining, while also offering a practical design for buffet displays, exhibitions, market stalls or use as a pasting table. 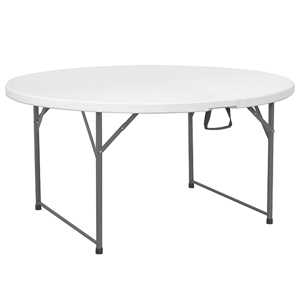 Conforming to British safety standards, this table is both durable and versatile.